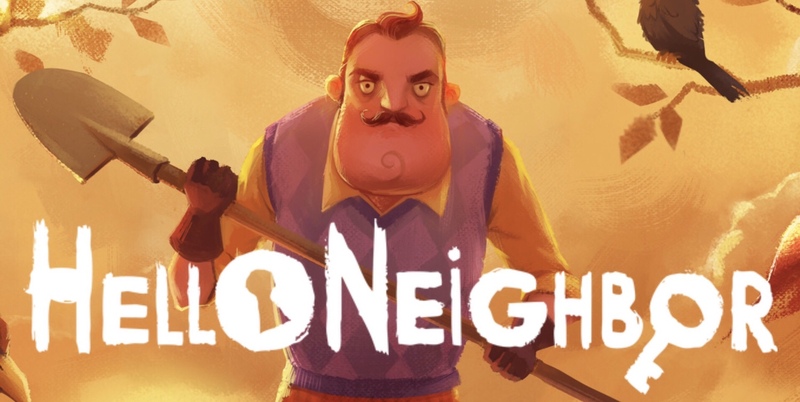 tinyBuild’s Hello Neighbor is a game I’ve heard a lot about over the last year or so up to its console release. But since I never expected it to come to iOS, I didn’t pay much attention to its reception. That is, until recently, when it was announced for iOS. I saw the reviews for other versions were pretty terrible, so I kept my expectations low. Thankfully, the game is free to try with a one-time in-app purchase to unlock the rest of the game. Had it been $15 up front, I never would have tried it. That said, my experience has not been great so far, to the extent that I haven’t even reached the paywall yet. So instead of a review, I’m going to give some first impressions on the iOS version coming from someone who’s never played the game before or seen any videos of it. My first experience, shown in the video above, was beyond frustrating. Not only was I thrown into the game with no clue what my goal is or how anything works, but the joystick worked maybe half the time. 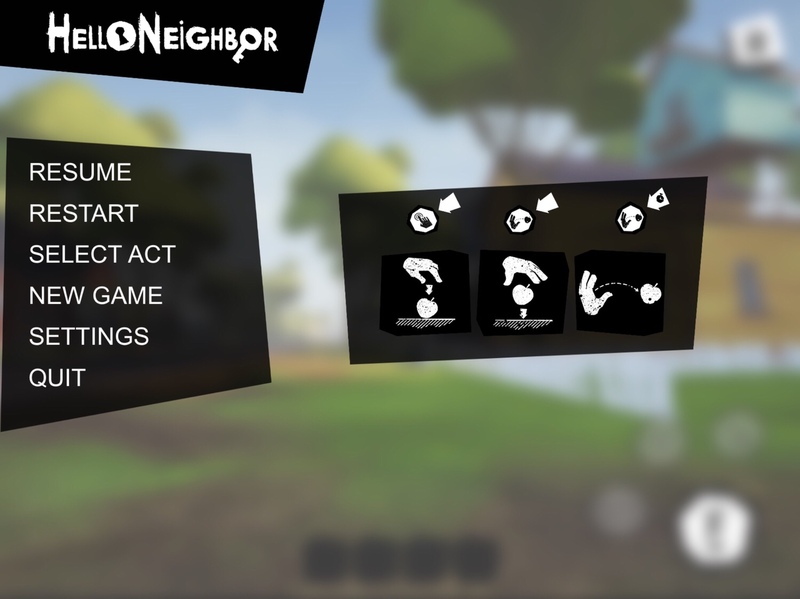 This is not a game about the friendly Mister Rogers, but about outrunning and outsmarting your psychotic neighbor who kills you every time he catches you. So a working joystick is kind of important. Still, I persisted and managed to get into his house through the back, rummage through some drawers, and climb under a bed before getting killed over and over again. Oddly, my character is so short he can’t even see inside the drawers he opens, but I later realized I can just use the glitchy graphics to my benefit and merge with the drawers to see what’s inside them. I even ended up in some weird alternate universe where I’m even smaller and things are even scarier, but I have no idea how I got there or why or how to get back there. I also accidentally picked up an item here or there but wasn’t really sure how I did it. This diagram to explain it didn’t really help and actually seems outright wrong now that I’ve played some more. I wasn’t planning to go back in, but I saw the game got an updated with “bug fixes,” so I decided to give it another chance. The joystick did seem better, but still problematic, especially if I tried to use it without looking where my thumb is. Hopefully it will still get some adjustments to make it more reliable. Anyway, I figured I’d mess around some more and try to understand what the other controls do. It turns out that the button that you use to interact with items is also the button you use to pick them up, but you have to hold the button down to do so. I must have missed that detail and then only figured it out by accident. The “throw” button is more obvious and has always behaved as expected. But I’m still not sure what the middle button does, as it highlights when I’m holding certain objects, like a chair. I thought maybe it meant I could use it as a weapon but absolutely nothing happened when I pressed it. And that’s another annoying aspect of the game — I have no idea if there’s a way to fight off the neighbor. Nothing I’ve thrown at him has had any effect, but I don’t know if it’s because it’s the wrong item. Would a knife work even through a bowling ball didn’t? I also don’t understand why hiding in a closet did nothing, as he still got me. I even tried climbing up a ladder and he somehow got me from the ground, without even climbing up after me. I also ended up in that weird alternate dimension again, but still have no idea how or why. I don’t even know what my goal is. I see a locked door in the neighbor’s house but have no idea how to find the key. And sometimes the game saves my actions from previous efforts, then other times it resets them. That also makes it really hard to tell what’s happening. Is it a bug or a feature? How am I supposed to figure it out? Anyway, I’m not sure I’ll spend any more time with it, at least not without learning more about it. It just doesn’t seem a very productive use of my time to just keep running in blindly with no idea what I’m supposed to be doing or if something’s a bug or a feature. Still, if you like this kind of game and aren’t afraid of the lackluster controls and zero guidance, give it a try. It’s free for the first act and if you manage to get that far, maybe you’ll feel the full price is worth it to play the rest of the game. I began this awful game game and had the same impression. Just horrible and not worth wasting 30 seconds on.